Father, a word for someone strong, resilient yet affectionate and caring. You never find out your father’s true feelings until you have grown into one yourself. The feeling that the pillar of support is no longer at your back, will only be accepted by you when you realise that you have been your father’s support and will continue to be and make him matter even when he has moved along. Express your affections and beautiful memories through these heartfelt templates crafted especially for your dad. 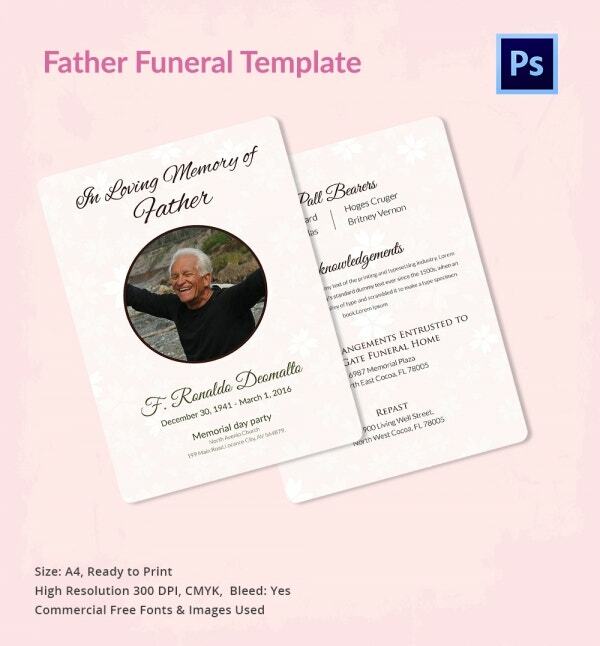 You can also see Pet Funeral Program Templates. 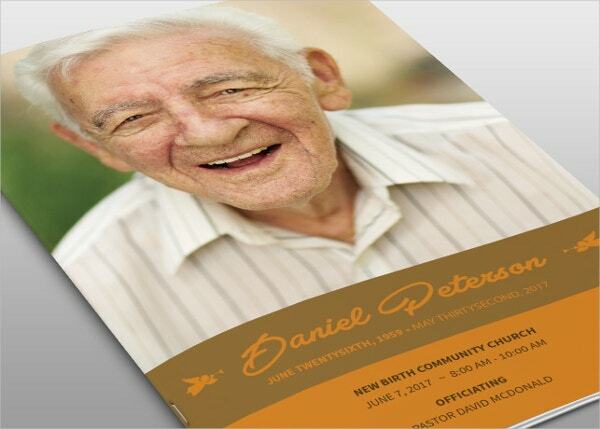 A brochure with touches your heart with its well-written analogies with a very warm ad blissful colour palette. 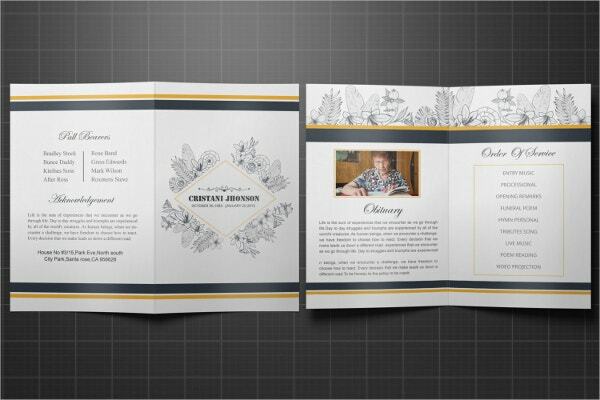 It’s a bi-fold 11×17 folded to 8.5×11, has organised layers, 300dpi/bleed and can be edited in Photoshop CS2. 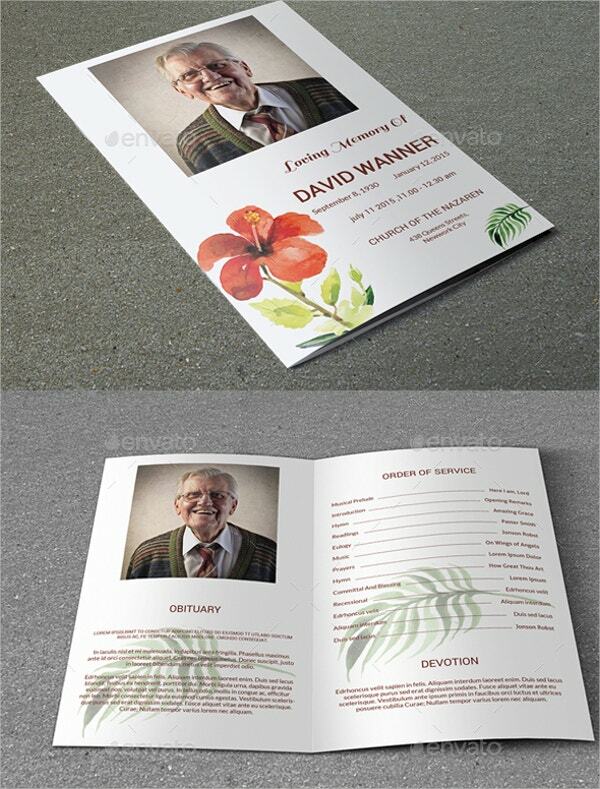 You can also see Funeral Booklet Templates. 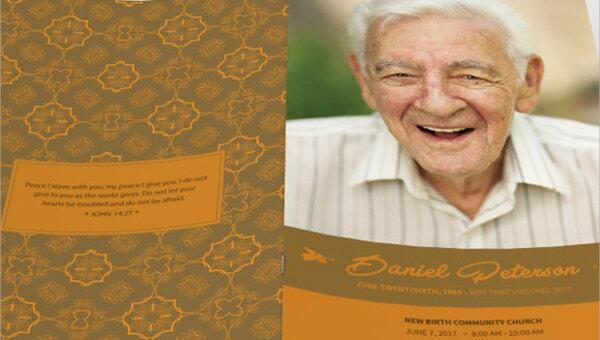 Its an elegant option with a brown colour palette and its bi-folded size comes to 8.5×5.5”. Text and graphics are editable, and it has 300dpi/bleed and also has seven one-click colour change options. 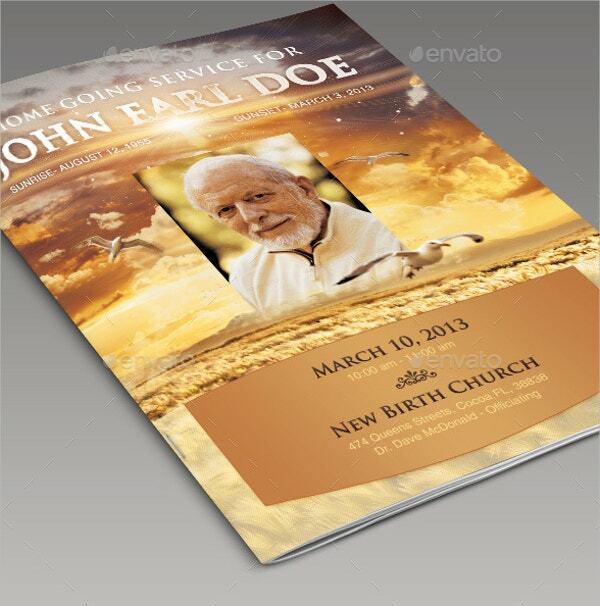 A laidback countryside design with golden corn colours with very clean visuals. It has a seven colour, one-click editing, bi-folded to 8.5×11, 300dpi/bleed and is editable on Photoshop CS2 or higher. An old style copper feel colour palette is the perfect one for your memories. It is very easy to edit with seven one-click colour options and is editable on CS2 or higher versions. 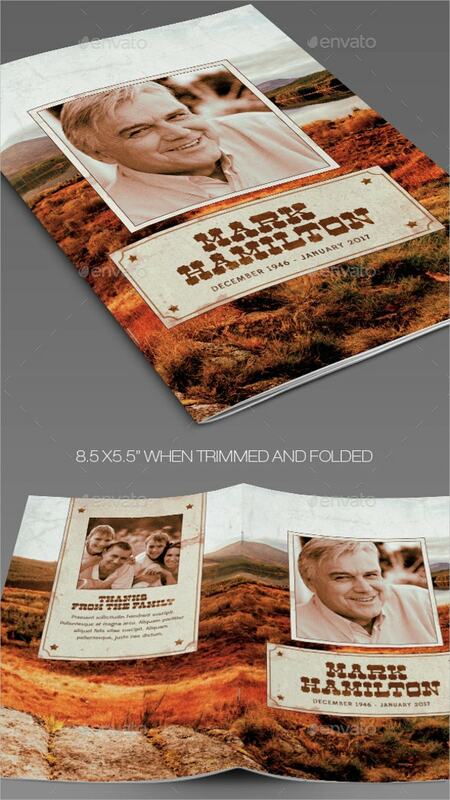 The bi-fold comes to 8.5×11/300 dpi and bleed is included. 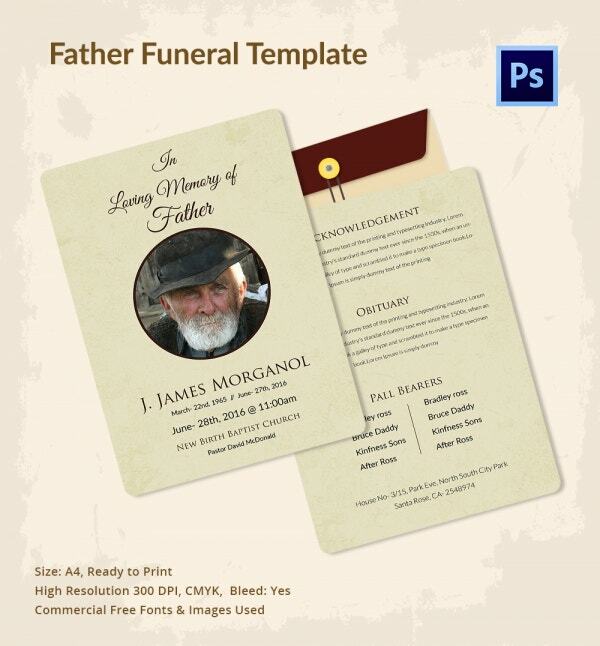 A beautifully designed funeral program brochure with just a bit of Victorian touch, it is easy to customise and is an MS Word document (2007-2016). 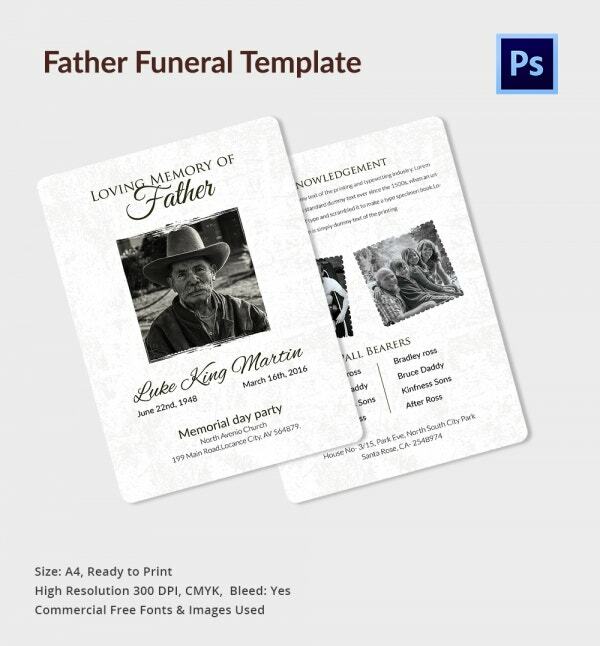 Template size is 11×8.5in. You can also see Funeral Progarm Template For a Friend. If we could have five more minutes with our father, we would tell him all that we had hidden from him, all that we loved about him and all of the things which made us proud of him. 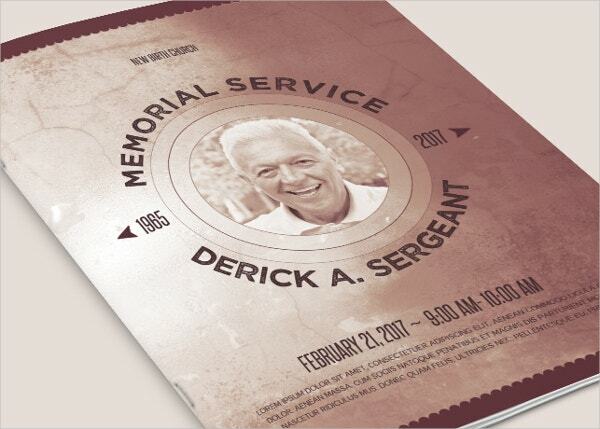 A chance to express your true feeling towards him, let your emotions rain through these memorial templates till others feel what you felt.